Paul Mansur has been dedicated to the horn, to education, and to the IHS. The success of The Horn Call and a scholarship in his name assure his legacy with the IHS. Paul was born in Oklahoma in 1926 and began playing horn in the Wewoka High School Band. He graduated from the Oklahoma Military Academy and entered the US Navy in 1944, serving in the Philippines. On discharge in 1946, he began studies in civil engineering at the University of Oklahoma, but then changed to music, completing degrees in theory and horn in 1951, followed by a master's degree in education from Arizona State College in 1953. After teaching in public schools for six years, he earned a doctorate in Music Education at the University of Oklahoma. While working on his doctoral dissertation, Paul was Director of Music Therapy at Central State Griffin Memorial Hospital. "I count the experience as one of the best learning experiences and most satisfying job of my life along with being the poorest paid position of my career." Paul began his 25 years at Southeast Oklahoma State University (SOSU) in Durant OK in 1969 as Chairman of the Music Department and retired in 1990 as Dean of the School of Arts and Letters; he is now Dean Emeritus. Paul's playing experience includes the Oklahoma City Symphony (as an undergraduate), the Phoenix Symphony (as a master's student), and principal horn in the Sherman (TX) Symphony for 20 years while at SOSU (including transporting SOSU students). During his years at SOSU, Paul was a representative to committees and conventions of the state association of college music departments, the Music Educators National Association, and the Jazz Educators Association. SOSU engaged in a thorough self-study and became an accredited full member of the National Association of Schools of Music during his tenure. He also preached for the Blue Church of Christ and later with the Utica congregation. Paul has contributed immeasurably to the IHS since its inception. He served as the third Editor of The Horn Call for 17 years, from 1976 to 1993. During this era he was an ex-officio member of the Advisory Council and afterward served for two three-year terms as an Advisory Council member. From 1976 through 1999 he was the "corporate memory" of the IHS. 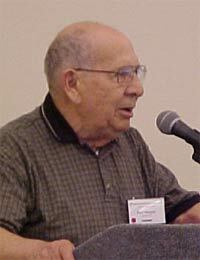 In addition to his editorship, he contributed many articles to The Horn Call, including workshop reports, interviews, profiles, recording and book reviews, and the column "Mansur's Answers." He was elected an IHS Honorary Member in 2003. Paul was further honored by the establishment of the Paul Mansur Scholarship, which provides opportunities for full-time students attending the IHS international symposium to receive a lesson from a world renowned artist or teacher (a featured artist or Advisory Council member) and a one-year IHS membership. Paul and his wife, Norma, moved to Tennessee in 1995 to be near family.